​One of Australia's Largest Multicultural Events to be Held on Monday Public Holiday, 2nd October 2017. ​This is always a grand event attended by tens of thousands of people in the heartland of western Sydney which is home to one of the largest concentrations of overseas Filipinos anywhere in the world - numbering in the hundreds of thousands. In some suburbs of western Sydney Filipinos make up the largest ethnic group of any overseas-born people. Be sure not to miss this great event. Many people travel far and wide to attend, including from across the ACT border, other interstate visitors from around Australia, and VIP guests from the Philippines. Meet the stunning Miss Philippine-Australia contestants for this year's Fiesta Kultura beauty pageant. you'll meet at the huge Fiesta Kultura? RFA Photo: Previous Fiesta Kultura event. 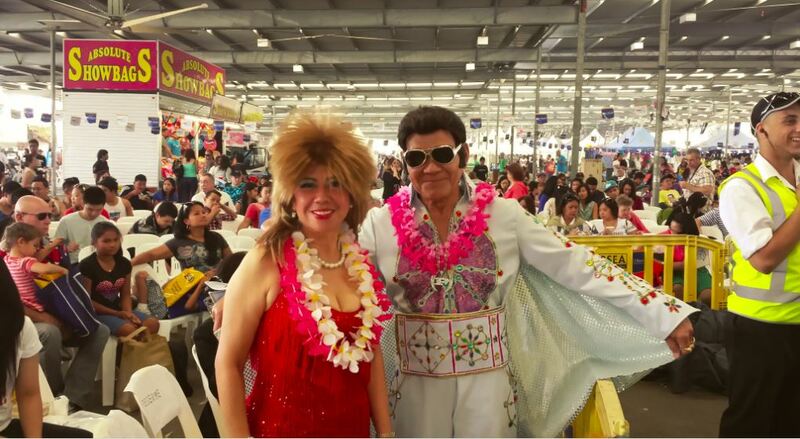 Even the famous Filipino Elvis turned up to participate in the huge event, as just one small portion of the large crowd in the background enjoys the food and entertainment near the main stage.